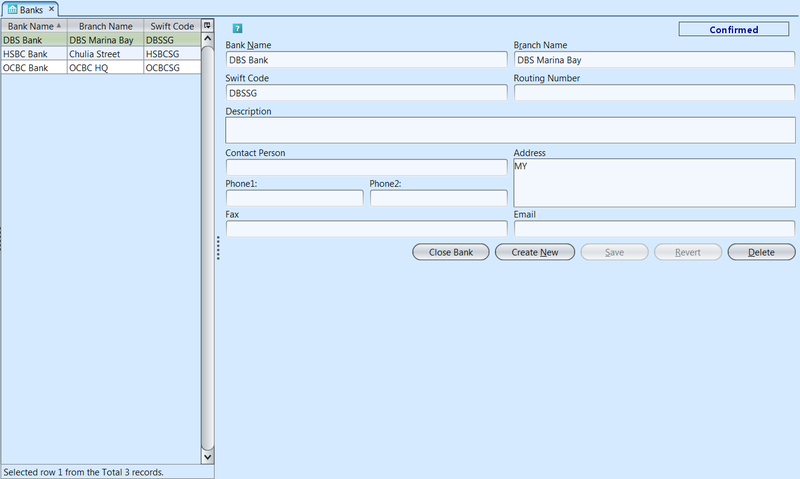 Create bank records for the registered company with the ability to update, delete, close, view bank details. Swift Code Swift Code is a standard format of Bank Identifier Codes (BIC) and it is unique identification code for a particular bank. Routing Number This number is used to determine where to route funds to or from.